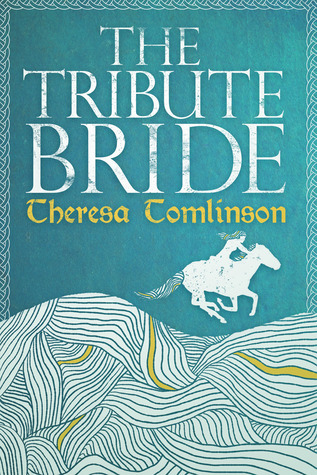 I am currently reading The Tribute Bride by Theresa Tomlinson. The timbered hall at Eforwic was ripe with smells of wood smoke, humanity, stale cooking and damp fur. The hunting dogs and house cats growled and hissed at each other as they jostled for warmth around the hearth. It had rained steadily for two days and even the beasts refused to put their noses outside. Last Friday, news broke that a local museum, Bede's World, had closed its doors. There was no warning, the staff came in at 09:00 that morning and by 10:30 they had no job and no pay. The museum celebrated the life and achievements of The Venerable Bede, the patron saint of Historians and English Writers, and the the so-called Father of English History. It incorporated a replica Anglo Saxon farm, complete with animals and a rebuilt Anglo Saxon village based on The Thirlings in Northumberland. Why is this even relevant to this post? Because the author used Bede's World in her research process. Bede is the reason we know about the dark ages, the time period when this book was set. He wrote about history, but he also wrote of contemporary events. He traced the bloodlines of kings, tribal allegiances, religion beliefs. He wrote about England forming as a single kingdom rather the the myriad tiny kingdoms it had been. The museum and it's model of Yeavering Bell helped shape the village in the novel. I realise now that I've kind of hi-jacked my own blog post. But this is something that is so SO important to me and practically anyone who has ever studied history. There is a campaign to save Bede's World, and it only takes a minute to sign the petition. Please do. I can't wait to get stuck into this book. Even from that first paragraph, I am excited to travel back in time. 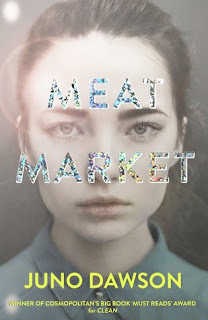 Already I love the writing style, and I can't wait to see what direction the story goes in. I love the attention to detail, and I'm sitting feeling cold as I read, despite being in a cosy office. Powerful writing! Thanks for sharing an intriguing book...and thanks for visiting my blog. This sounds like a really interesting book. I'd never heard of Bede's World before! I like the beginning, my little beasts don't like to set foot outdoors if it's been raining either, lol. Thanks for visiting my blog! That is a powerful beginning, and evokes the time period very well (not that I know LOL). But yeah it makes you kinda want to be there, very medieval- esque- and I love the mental imagery of the cats and dogs jostling for hearth space. How tragic. Museums have to dance in a tightwire to finance their projects. I bet this one ha many more expenses because of the animals. I am checking out the link now to sign the petition. Im intrigued! I think it's quite an unusual story and the research behind books always interests me. Hope you enjoy this ...! Get ready for the biggest season yet! FUT Champions and Squad Building Challenges give players new ways to compete and earn rewards in FIFA's most popular mode.